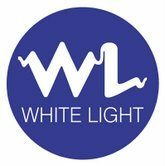 White Light have been supplying lighting equipment and services to the entertainment, presentation and events industries since 1971. The company has built its reputation on innovation and reliability, constantly striving to provide customers with the lighting technology they need, and always with the equipment carefully prepared, delivered on time and at the best possible price. All areas of work - hire, sales, installation and service - are overseen by experienced staff who care about the show or event. Many have come from theatre or events backgrounds so they know that theirs is an industry where a deadline made months in advance has to be met, to the minute! The leading musical theatre licencing and publishing house in the UK, Weinbergers have an enormous catalogue of shows from which the school can choose. Their sponsorship helps us to provide students with variety as well as introducing them to new works alongside their favourite shows. Northern Costume Hire was founded in 1984. We are located on the North Yorkshire / Lancashire border in Barnoldswick, 7 miles from Skipton and 6 miles from Colne, (end of the M65), which provides easy access to and from the motorway network. Our highly professional members of staff are always ready to help ensure your show or event is costumed to the highest standard. As a company, we specialise in providing costumes for Professional and Amateur Theatre, Schools, Colleges and Youth Groups together with high quality individual hire for fancy dress. We have worked with the BBC, ITV and film companies providing costumes for various productions. "I can't believe how much fun we had working so hard..."